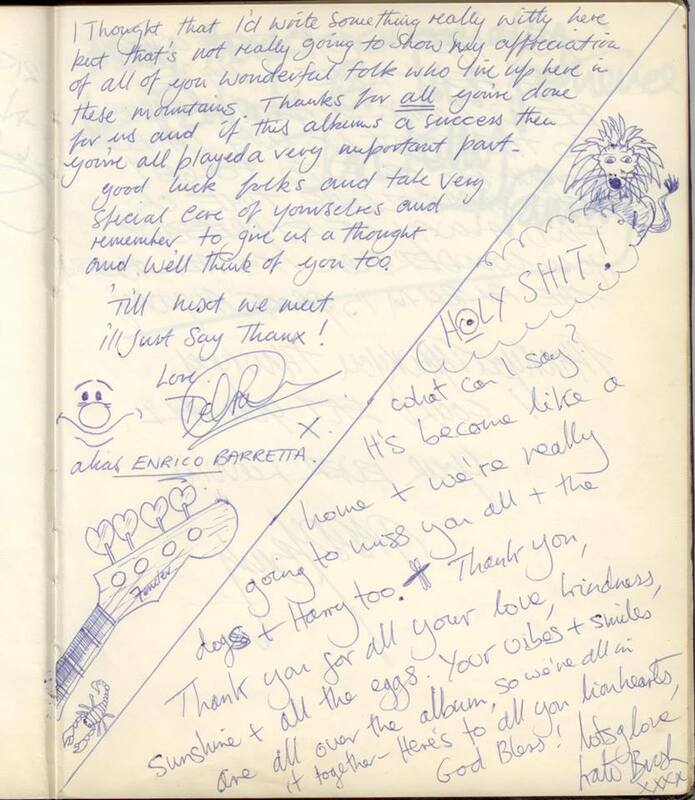 Damon Metrebian, the founder of Super Bear Studios in France, at which Kate recorded the bulk of her album Lionheart, has posted a memory of that time on his Facebook page as well as a page from their studio guestbook signed by Kate and Del in 1978. Super Bear Studios was sadly destroyed in a fire in 1986. More memories of Lionheart on our latest podcast episode here!